By Paul Henderson of Costume Manager. Want your school to be taken seriously? Here’s the one thing you can do to immediately and dramatically elevate your school’s standing in your community…and it’s pretty much free. I was in the Navy a couple decades ago. I learned this saying in boot camp. How you do anything is how you do everything. This was screamed at us by a fiery company commander who wanted us to make our beds and fold our shirts…perfectly. I thought folding clothes and making beds was weird at the time. Now…not so much. How you do anything is how you do everything. Wrap your mind around that one for a moment. I’ve traveled all over the country and talked to hundreds and hundreds of dance studio owners, costume companies, dance wear suppliers and dance instructors. The issue that still has me perplexed is the one thing that is, by far, the easiest to correct. This one thing is so important that dance studios that do it well have 800+ students. Dance studios who are average at this thing have about 200 students. 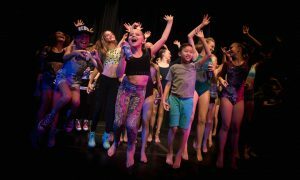 Dance studios who do it poorly have 50 or fewer students despite struggling for 5 or more years. This one thing is so obvious and so simple that I’m almost embarrassed to bring it up. Image is everything. Let’s assume that’s true; although, I’m sure there are some out there that would argue that image doesn’t matter. To those people I’ll offer this example. Let’s say you’ve just inherited $100,000. You walk into a bank or an investment firm and ask to talk to someone about how to safely invest your money. You wait in the lobby for a few minutes and an advisor, who is obviously late to work, shuffles into the office wearing sweats, texting and drinking an iced frappuccino. Are you going to feel confident that she’s taking her job seriously and therefore qualified to advise you on how to invest a large sum of money? Are you going to feel confident that she even has any good advice to give? No. You are probably going to say, “nevermind”, turn around and walk out the door because you are talking about a large sum of money that you wish to preserve and grow if possible. Would you agree that the mother of a beautiful, “above-average” three year old little girl considers that child to be invaluable and worth well over $100,000? To that mother, her child is the most important thing in her life. There is no amount of money that a mom wouldn’t give to ensure her daughter is safe, happy and well prepared for the future. So, when a mom who is new to your studio walks in and says, “I’d like to know more about this dance studio for my daughter”, she is going to make a decision in a fraction of an instant as to whether your studio should be taken seriously or not. Besides the obvious cosmetic issues of a studio like cleanliness, here are things that she will consider. Is there an office manager present? Is that office manager wearing appropriate attire? Is that office manager calm, confident and helpful? Is there anyone teaching classes at the moment and how is the teacher dressed? Is she wearing a leotard, skirt and tights? Is her hair in a bun. Does she look like she’s ready for a performance or does she look like she just finished doing all of her laundry on a Sunday afternoon? In other words, does she match the pre-conceived notion of a “professional dance instructor” that the mother has in her mind? What are the other students in the dance class wearing? Are they in some sort of dress code that matches the vision this mom has in her mind? You can actually do something about your school’s image that won’t cost any money. In fact, taking immediate action will actually earn you more revenue, decrease your marketing expenses and increase your profit. It’s going to make you feel and look better. It’s going to make your students learn faster. 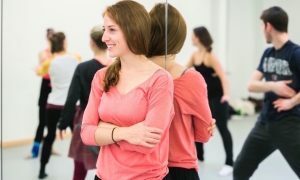 It’s going to result in more existing customers talking to more of their friends about you and your studio which will in turn make more dancers enroll in your classes. What is this one thing you can do to begin the road from 50 students to 800+? Here it is. Always wear something professional in the office and teach only in dance attire from now on. Institute a dress code for yourself, your staff and for your dancers – at least for your little dancers ages 2 – 9. Here’s why this works so unbelievably well. Mothers are typically the ones who enroll their daughters in dance class. Mothers have an idea in their mind of what the dance class is going to look like. They have imagined, in most cases, their daughter’s dance instructor will look like a proper ballerina. Think back to every movie or TV show you’ve ever seen where little kids were in dance class. What comes to mind? It’s usually a graceful looking instructor carefully engaging 10-15 dancers who are all wearing exactly the same thing. In the mother’s mind the dancers are having fun, but the class is structured…and totally adorable. Put yourself in the shoes of a mother of a three year old. Which teacher is she envisioning when she thinks about her above average daughter becoming the most incredible dancer in the world? How does she envision her child in class? Like this? Disclaimer: the dancer pictured above is wearing makeup and jewelry in this photo because I also had her modeling costumes for performances that day and not because I believe very young dancers should be wearing makeup to class. Stage, yes. Class, no. When I talk about business strategies with studio owners, I always recommend implementing a dress code. Here’s why. It immediately and dramatically sets you apart from every other studio in your area. Want to be taken seriously? Dress like it. Here are the top reasons studio owners give me for not implementing a dress code. My customers won’t go for it. My school’s not that serious. It’s just for fun. I’m too busy to deal with that. My instructors won’t like that. I want to promote creativity and freedom of expression at my school. Objection: My customers won’t go for it. Answer: When enrolling a dancer into a class at my dance studio, the parents always ask the following question. “What does she wear to class?”. If you tell them what to wear, they will wear it. If you don’t tell them what to wear they will wear whatever they want and you will miss a huge opportunity to set yourself apart from other schools in your area and possibly even profit on the transaction. Objection: My school’s not that serious. It’s just for fun. Answer: Your school might not be serious, but the relationship between a mother and a child couldn’t be more serious. Whether you want to be serious or not, dancers are not going to come to class naked, right? They are going to wear something, right? You might as well tell them what to wear. Even if your dress code is not mandatory, some of the parents are going to fall in line with your desires. Children grow a lot. They will grow out of their current clothing and shoes in 6 months or less and you should be there to offer the replacements. Objection: I’m too busy to deal with that. Answer: I agree that it’s one more thing on your plate, but the parent is going to ask you what you want them to wear, so you might as well have something set up that doesn’t take a lot of time, energy or money to manage. When the parent asks you what to wear, provide them with their options and go about your day. Objection: My instructors won’t like that. Answer: You’re their boss. You pay them. They need you just as much as you need them. Tell your employees what your expectations are before you hire them. Phase out the employees who resist your leadership and you’ll live a much happier life. It’s better to have people who share your vision than try to drag resistant employees along on your journey. Be the boss. Your landlord is counting on you. Objection: I want to promote creativity and freedom of expression at my school. Answer: Creativity is incredibly important for dancers, but so is learning how to be part of a team. In fact, for young dancers, learning how to respectfully take a class and follow instructions is critical. Let the creativity come out in the movement, not the clothing…until they are older and ready. To find out why a dress code will decrease your marketing expenses; or if you need help on how to institute a dress code that will elevate your studio’s image in your community and increase your enrollment and revenue, email me at paul@costumemanager.com. Thank you – good article. I struggle with whether dressing in a leotard and tights to teach really matters to my ballet students. (Levels I – IV) I always wear my hair in a bun and come to class fresh and with light make-up. But – I wonder, this class is not about me- Why am I trying so hard. Your article has clarified that for me. I love your saying – how you do the little things is how you will do the big things. I agree and will continue to dress for class as long as I am teaching. But will probably be adding another layer in my 60’s. 🙂 Thank you. I totally agree with this. I own a gymnastics and dance studio. It drives me crazy when some parents just won’t follow our dress code policy. And the ones that do look so clean cut and professional. Great article!